Last year I had the amazing opportunity to work with Disney LatinAmerica on their new teen drama series “Soy Luna”. Soy Luna is now being aired (in Spanish) on the Disney channel all over South America and Spain. It will later be dubbed into other languages (but unlikely into English as English speaking teenagers are not accustomed to watching dubbed shows). I was hired for various roles in the pre-production phase of the show. Firstly, I was in charge of monitoring and inspecting health and safety at the practice rink and with all equipment used. I set up Health and Safety protocols and guidelines for the actors and staff to follow. 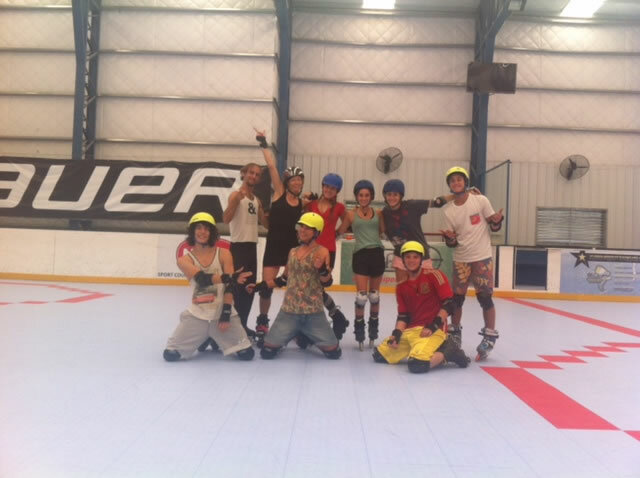 I was in charge of initial skate coaching and spent several weeks in Buenos Aires doing intensive skate training with the original group of actors (they skated 4-5 hours a day 5 days a week). 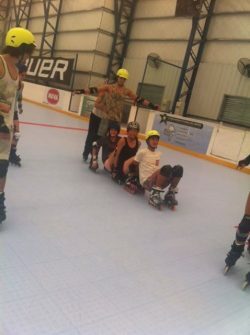 A full time artistic skating coach Juan Pablo was already working with the cast but I was in charge of interviewing and hiring an additional coach to assist Juan. I conducted on skates ‘interviews’ with the prospective coaches ‘pretending’ to be a beginner skater and observing how my errors were corrected and what processes the candidates used to improve my awful skating. I finally chose Gisela Jaime and together with Juan they have been the coaching team ‘on the ground’ working with the cast. I continued throughout 2015 to coach the actors via video one day a week. I was sent video footage of each skater during practice and I communicated with the coaches via videos from my living room. I outlined the problems I could see and set individual corrective exercises for each skater which were then delivered via the 2 coaches on the ground. Each week I received more videos and it felt like these young people were actually in my class because problems were fixed and progress was made! Early on in their skate training I began the process of teaching them simple dance steps as dancing on skates is the main focus of the show. 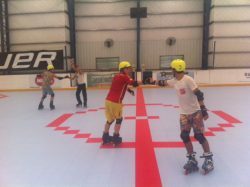 This is not an ideal progression path; learn to skate and learn to dance almost immediately, but time was of the essence. Here are various clips from the Disney site online where you see the actors training their skate and dance skills. There were no cameras around in this pre-production stage but here are some photos from my own archive of the ‘early days of Luna’. I am so proud of my students and the coaching team and how far they have come. This show will undoubtedly continue to be a massive global hit and I’m sure be responsible for a new growth spurt in skating and particularly skate dancing. Please Note: It seems that many of you can’t view the above links to the Disney Soy Luna video. I got the links from the Disney channel online while in Peru and didn’t realise they wouldn’t be viewable in Europe or Asia…..my humble apologies. If you want to see my actor students skating in Soy Luna then do a Google Search and see what Disney is allowing in your area in terms of video access. I understand wheels much better than technology!